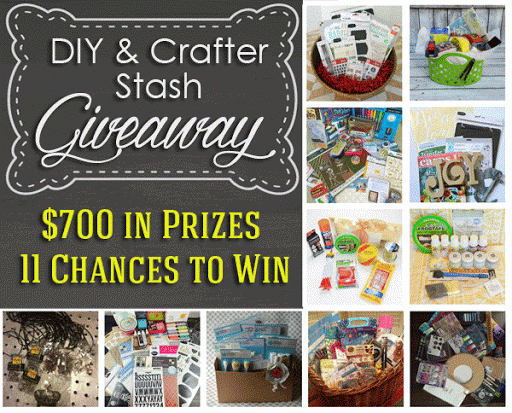 DIY and Crafters' Dream Basket Giveaway: $700 Worth of Prizes! 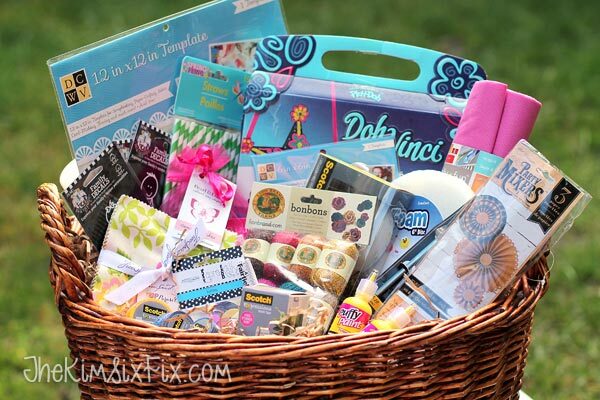 Since all of us create slightly different things, the baskets are going to have a wide range of fun stuff. 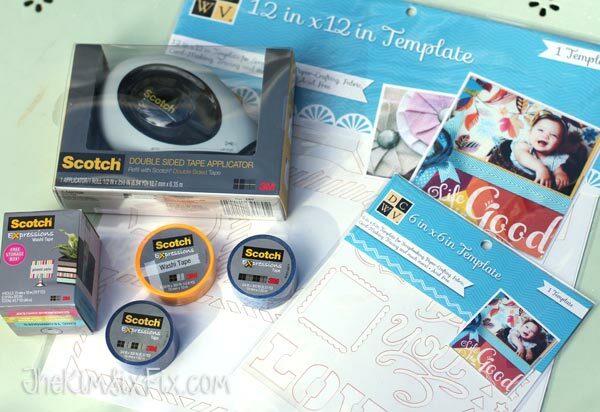 From painting supplies, to jewelry making to scrapbooking and a lot more. And you can win one, two or even ALL of them if you get really lucky! 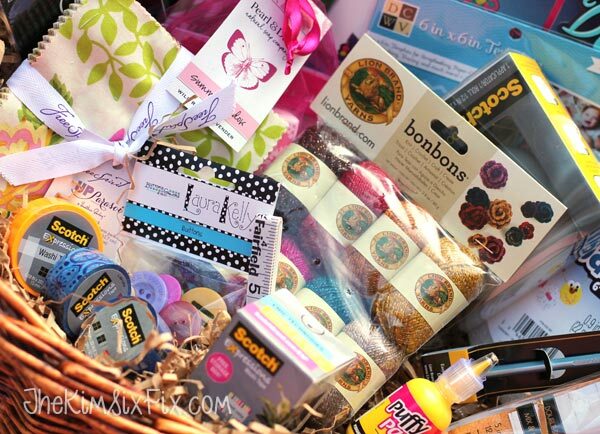 Here is my gift basket (and it features a little bit of something for everyone!) The MSRP value of my basket is more than $100! A hundred bucks of craft supplies! Just in time for the holidays! 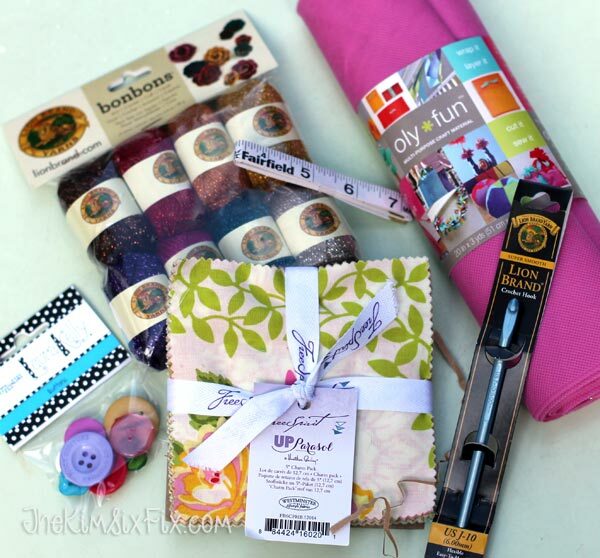 It includes supplies for fabric crafting (I LOVE the charm square bundle and the Lion Brand Iridescent party yarn. ) Plus I threw in a crochet hook and measuring tape since those are crafting staples! And finally, for party and kids' crafters I have an assortment of fun supplies that are tons of fun. 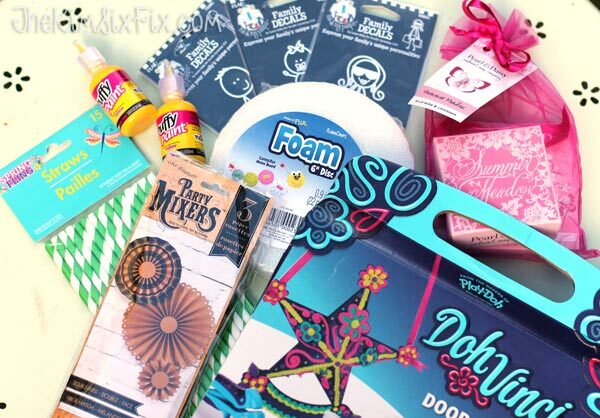 A DohVinci Kit, An entire family of car decals, puffy paint, paper straws, and some darling paper fan flowers. And as a final treat I topped it off I added in some wonderful scented hand milled soap and bath salts.. since every crafter can use some pampering. If you cannot access the widget you can leave a comment with your entries and I will add you to the widget manually! Rules for my giveaway: Open to anyone but I will only pay to ship prize pack TO THE LOWER 48 STATES (if you win, you will need to supply a mailing address in the lower 48 or pay difference in shipping costs). Winner will be drawn at random using rafflecopter. All entries will be confirmed, and non-followers will be ineligible to win. Winner will be contacted within 12 hours from close of Giveaway (Monday Nov. 9 at Midnight PST) and has 48 hours to reply with shipping address, otherwise a second winner will be chosen. Prizes will ship USPS. I'm not responsible for lost, stolen or damaged shipments or entries with incorrect contact information. Now go and visit the other 10 bloggers and throw your ring in the hat for their great prizes as well! And good luck! 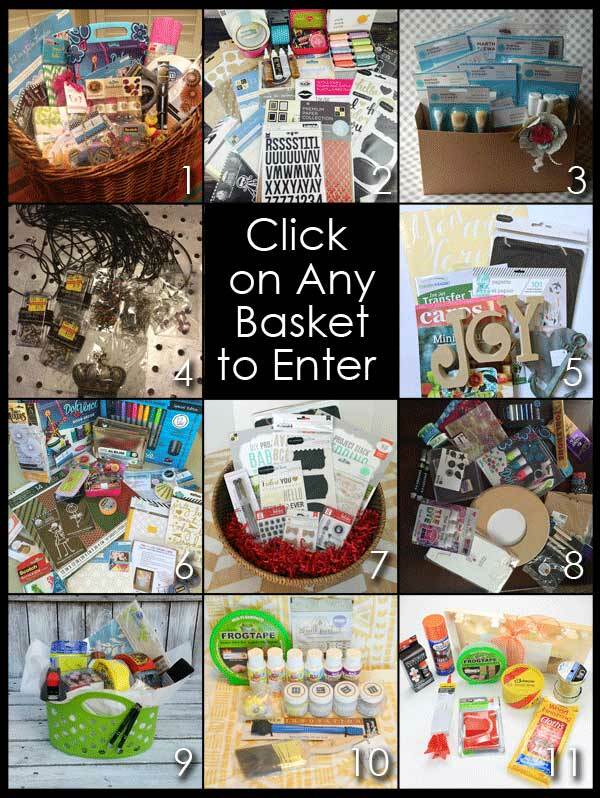 Visit each blog to enter for a chance to win their Crafter’s Dream Gift Basket. Either click on the basket in the image above, or if you are on a mobile device, visit the numbered link below. You may enter to win any (or all) prize baskets, and you are eligible to win more than one. Every blogger has their own rules for entry and will be selecting their own winner.